Retreat to the cool comfort of your home when you select a payne packaged electric air conditioner. With a single-stage compressor and multi-speed blower, this system provides consistent temperature control and reduced humidity for added comfort in the hot and sticky warmer months.Quiet performance (as low as 73 decibels) 1Multi -speed blower motor for improved temperature and humidity control Durably built to withstand bad weather and debris Designed for corrosion resistance and lasting performance 10-Year Parts Limited Warranty , Maintaining your comfort is important throughout the year. That’s why Payne is so excited about our packaged products. These products put affordability, durability, energy efficiency and reliable comfort all in one convenient package. No matter which model you choose, you can breathe easier knowing that Payne packaged products provide outstanding humidity control to keep you as comfortable as possible. Now that’s a feature you can get comfortable with. Enjoy the payne classic comfort combination of gas heating and electric air conditioning in one complete package. 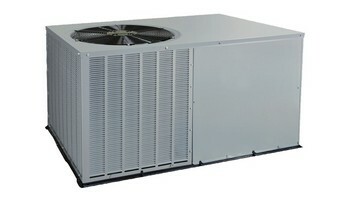 It's an efficient, durable and dependable solution for controlling indoor temperatures all year long with added humidity control during the summertime.14 SEER/12 EER cooling 81% AFUE heating,payne is designed to fit even where space is limited, you can count on year-round comfort and efficiency with our economically-priced packaged heat pump. With a reliable and efficent blower inside and a rugged hail gaurd outside, this unit is built for lasting durability and performance.